Switchfoot has sold 5.5 million copies worldwide of their eight studio albums, racked up a string of Alternative radio hit singles ("Meant to Live", "Dare You To Move", "Mess of Me", "The Sound (John M. Perkins' Blues)", "Dark Horses", and "Afterlife"), performed sold-out world tours (visiting five continents in the past year alone), raised hundreds of thousands of dollars to aid homeless kids in their community through their own Bro-Am Foundation, and earned themselves a global fan base devoted to Switchfoot's emotionally intelligent and uplifting brand of alternative rock. So when it came time to write the songs that would make up their ninth studio album, the members of Switchfoot were looking for a challenge. "The point became, 'What are we going to do to push ourselves,'" Jon Foreman recalls. "Could we take ourselves somewhere we'd never been before, yet achieve a feeling of comfort at the same time? How do we go to a new place that feels like home?" 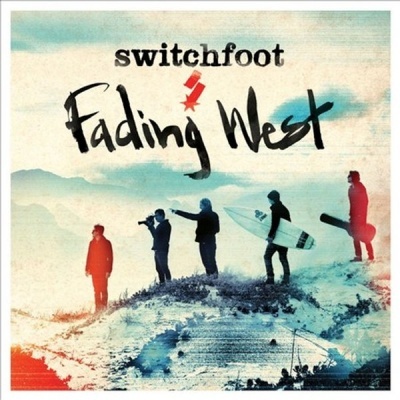 Switchfoot found the answers on the road and in the waves. A year ago, while touring in support of their 2011 album Vice Verses, the long-time surfers set out in search of inspiration by visiting several of their favourite surf breaks around the world. "The idea was to surf, write songs, play music, and see what ideas came," says Tim. The band traveled to Jeffreys Bay and Crayfish Factory in South Africa, Bronte Beach in Australia, Raglan in New Zealand, and Uluwatu in Bali, and chronicled their physical and emotional journey, as well as their unshakeable brotherly bond, in Fading West - a documentary film that features stunning locales, revealing interviews, jubilant live footage, and glimpses of Switchfoot at home and in their studio in San Diego. Like Rattle and Hum meets Endless Summer, the movie is part travelogue, part surf film, and part behind-the-scenes look at the making of the band's upcoming new album, which will also be entitled Fading West. Not surprisingly, the album, which finds Switchfoot returning to the melodic pop sensibility of their early years, was inspired by the sea, which Jon describes as a perfect metaphor for simultaneously experiencing comfort and danger. "You're comfortable out there, but it's the unknown," he says. "You can paddle out in South Africa and it's exactly like home and nothing like home all at once. That's what I'm hoping our record feels like - trying to find peace in dangerous places."